Not to be confused with the Onecoin issued by Chinese company Xunlei. OneCoin is a Ponzi schemepromoted as a cryptocoin with a private blockchain, by offshore companies OneCoin Ltd (Dubai) and OneLife Network Ltd (Belize), both founded by Ruja Ignatova in concert with Sebastian Greenwood. OneCoin is considered a Ponzi scheme, both due to its organisational structure and because of many of the people who are central to OneCoin have previously been involved in other similar Ponzi schemes. US prosecutors have alleged the scheme brought in ~$4 billion worldwide from victims. In China, law enforcement recovered 1.7 billion yuan (US$267.5 million) while prosecuting 98 people for the scam. Ruja Ignatova disappeared in 2017 and was replaced by her brother Konstantin Ignatov near the time a secret US warrant was filed for her arrest. The majority of the top leaders have now disappeared or have been arrested. Konstantin Ignatov was arrested in March 2019 and Sebastian Greenwood in 2018. According to OneCoin, its main business is selling educational material for trading. Members are able to buy educational packages ranging from 100 euros to 118,000 euros. Each package includes "tokens" which can be assigned to "mine" OneCoins. OneCoin is said to be mined by servers at two sites in Bulgaria and one site in Hong Kong. Each level (except six and seven), or package, gives new educational material, which is plagiarized from several sources. The company and its recruiters claims that OneCoin does not sell cryptocurrency but only educational material. However, in a typical OneCoin recruiting meeting most of the time recruiters talk about investing in cryptocurrency and the educational material is barely even mentioned. Currently there is no way to exchange onecoins to any other currency. Previous to January 2017 the only way to exchange onecoins to any other currency was OneCoin Exchange, xcoinx, an internal market place for members who had invested more than just a starter package. This service was shut down without warning in January 2017. While it was functioning, onecoins could only be exchanged for euros, which were placed in a virtual wallet from which they could be requested for wire transfer. The market place had daily selling limits based on which packages the seller had invested in, which greatly limited the amount of onecoins which could be exchanged. On 1 March 2016, without a prior warning, OneCoin issued an internal notice that the market would be closed for two weeks for maintenance. The notice explained that the maintenance was necessary due to the high number of miners and for "better integration with blockchain". On 15 March 2016, after the two-week maintenance, the market opened again but no visible changes had been made; most of the transactions expired as before and daily limits stayed on. On 3 May 2018 the Central Bank of Samoa (CBS) banned all foreign exchange transactions related to OneCoin and OneLife. The bank had earlier in March issued a warning about OneCoin. CBS describes OneCoin as a very high risk pyramid scheme. 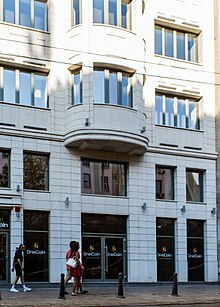 On 17 and 18 January 2018 Bulgarian police raided OneCoin's office in Sofia, Bulgaria, based at the request of the prosecutor’s office in Bielefeld, Germany. German police and Europol took part in the bust and the investigation. Also 14 other companies, tied to OneCoin, were investigated and 50 witnesses were questioned. OneCoin's servers and other material evidence were seized. 10 July 2017 Ruja Ignatova, the CEO, was charged in India with duping investors as a part of the Indian Investigation. 16 June 2017 the CEO of OneCoin Ltd. claimed OneCoin being licensed by Vietnamese government, having legal rights to be used in Vietnam as a digital currency and being the first cryptocurrency in Asia officially licensed by any government. 20 June 2017 the Ministry of Planning and Investment of Vietnam issued a statement that the document which OneCoin used as a proof was forged. They stated that the document was against the MPI regulations and that the person who supposedly signed the document was not in the position claimed by the document at the time when the document was created. MPI warned individuals and enterprises to be vigilant if they encounter the document during business. 29 May 2017 International Financial Services Commission of Belize (IFSC) issued a warning about OneLife Network Ltd conducting trading business without license or permission from IFSC or any other authority. OneLife Network Ltd was directed to cease and desist from carrying on with the illegal trading business. On 23 April 2017, Indian police arrested 18 people in Navi Mumbai for organizing a OneCoin recruitment event. The police attended the event undercover to judge the accusations before they decided to act. Further investigation has been started to reveal the higher levels of the pyramid. In May, the investigation recovered Rs 24.57 crores ($3.77 million USD) in nine bank accounts. A further Rs 75 crores ($11.52 million USD) was transferred out before authorities were able to seize it. Beginning of May, two more people were arrested and Rs 24 crores ($3.69 million USD) were seized from bank accounts. A special investigation team was formed with four Assistant Police Inspectors and 15 personnel under Senior Police Inspector Shivaji Awate to follow the money trail for further arrests. In December 2016, The Italian Antitrust Authority (Autorità Garante della Concorrenza e del Mercato) "adopted an interim injunction against the company One Network Services Ltd., active in the promotion and dissemination of cryptocurrency OneCoin...", and its representatives in Italy, describing their activities as an "illegal pyramid sales system" ("sistema di vendita piramidale vietato dalla legge"), and ordering them to cease promoting and selling OneCoin in Italy  On 27 February 2017, after concluding their investigation, AGCM banned all activity on OneCoin until further notice. The British newspaper Daily Mirror wrote that OneCoin / OneLife is a get-rich-quick scheme scam and a cult, calling it "virtually worthless". Bitcoin.com has given detailed evidence that OneCoin is an extensive ponzi scheme scam. In Hungary the Central Bank has issued a warning that OneCoin is a pyramid scheme. And in China, several members and investors of OneCoin were arrested in 2016 and $30.8 million USD of assets were seized. The company and the scheme is on the observation lists of many authorities, among them are authorities in Bulgaria, Finland, Sweden, Norway and Latvia. Currently, none of the countries have declared OneCoin as criminal activity, but authorities have warned of potential risks involved in businesses like OneCoin. On 30 September 2015, Bulgaria's Financial Supervision Commission (FSC) issued a warning of potential risks in new cryptocurrencies, citing OneCoin as an example. After the warning, OneCoin ceased all activity in Bulgaria and started to use banks in foreign countries to handle wire transfers from participants. In March 2016, The Direct Selling Association in Norway warned against OneCoin, comparing it to a pyramid scheme. In March 2017, the Croatian National Bank (HNB) advised the public to "exercise a high degree of caution" in decisions involving OneCoin, noted that OneCoin operations are not supervised by the HNB, and warned that possible losses will be fully borne by the investors. On 28 April 2017 Bank of Thailand issued a warning against OneCoin, stating it was an illegal digital currency and that it should not be used in trade. ^ Morris, David Z. (31 May 2017). "The Rise of Cryptocurrency Ponzi Schemes". The Atlantic. Retrieved 5 June 2017. ^ "Survey: Malaysians Warm Up to Cryptocurrencies,". nasdaq. Retrieved 5 June 2017. ^ a b "Vil ikke være politi". direktesalgsforbundet.no. direktesalgsforbundet.no. Retrieved 25 March 2016. ^ cointelepgraph.com (2015-05-27). "OneCoin exposed as global MLM Ponzi scheme". ^ "indian police label 12 million onecoin operation a clear ponzi scheme". The Indian Express. 10 July 2017. Retrieved 10 July 2017. ^ "US fed prosecutor tells court OneCoin is a $4 billion Ponzi scheme". behindmlm.com. Retrieved 2019-01-28. ^ Yang, Yingzhi (May 29, 2018). "China prosecutes 98 people, recovers US$268 million in OneCoin cryptocurrency investigation, report says". South China Morning Post. Retrieved May 29, 2018. ^ "Manhattan U.S. Attorney Announces Charges Against Leaders Of "OneCoin," A Multibillion-Dollar Pyramid Scheme Involving The Sale Of A Fraudulent Cryptocurrency". Justice.gov. United States Department of Justice. Retrieved 12 March 2019. ^ NGAMKHAM, WASSAYOS (8 Nov 2018). "Cops take new tack as crime goes global". Bangkok Post. Retrieved 12 March 2019. ^ a b YLE (2016-03-14). "Finns investing millions in new virtual currency; police keeping tabs on case". ^ Petteri Järvinen (2015-05-29). "OneCoin-koulutusmateriaali kopioitu kirjoista" (in Finnish). ^ "OneCoin valtaa Aasiaa" (in Finnish). 2016-03-01. ^ "Buyer Beware! The Definitive OneCoin Ponzi Exposé". Bitcoin News. 2016-06-27. Retrieved 2018-01-10. ^ Penman, Andrew (2016-02-10). "Here's why hyped-up web currency OneCoin is virtually worthless". mirror. Retrieved 2018-01-10. ^ "OneLife suspend OneCoin withdrawls, affiliates can't cash out". 15 January 2017. ^ "OneCoin - Uusi pyramidihuijaus? KRP: Rikosta voidaan arvioida luotettavasti vasta myöhemmin". 2016-03-02. Retrieved 2016-03-24. ^ Central Bank of Samoa (2018-03-21). "CENTRAL BANK OF SAMOA BLOCKS ALL ONECOIN CRYPTOCURRENCY TRANSACTIONS". ^ Central Bank of Samoa (2018-03-21). "Warning on ONECOIN Cryotocurrency". ^ The Sofia Globe. "Bulgarian special prosecutors join in anti-money laundering operation against OneCoin". Retrieved 2018-01-19. ^ Bulgarian New Agency. "Criminal Organization Busted for Money Laundering Using OneCoin Cryptocurrency". Retrieved 2018-01-19. ^ "Bulgarian Police Raids OneCoin Offices, 'Ponzi Scheme' Servers Shut Down". Cointelegraph. 22 January 2017. ^ a b Behind MLM (2017-06-20). "OneCoin Vietnamese regulatory document forged, govt says". ^ Báo Đấu thầu (2017-06-20). "Cảnh báo việc giả mạo văn bản của Bộ Kế hoạch và Đầu tư, Cục Quản lý đấu thầu" (in Vietnamese). ^ IFSC (2017-05-29). "One Life Network Limited". ^ The Hindu (2017-04-25). "18 held for organising Ponzi scheme seminar". ^ The Afternoon (2017-04-25). "Raid on OneCoin, brings out lakhs of coins". ^ "OneCoin fraud: Cops recover Rs 24 crore from 9 banks". Times of India. 2017-05-13. Retrieved 2017-05-13. ^ The Hindu (2017-05-18). "2 more held in OneCoin scam". ^ "PS10550 - Vendite piramidali: sospesa in via cautelare la promozione della criptomoneta OneCoin". agcm.it. Retrieved 2016-12-30. ^ "PS10550 - Vendite piramidali: Antitrust sospende la promozione della criptomoneta OneCoin da parte di One Life". agcm.it. Retrieved 2017-03-12. ^ "Who wants to be a OneCoin millionaire? YOU don't - here's why hyped-up web currency is virtually worthless". Archived from the original on 2016-02-12. ^ "Buyer Beware! The Definitive OneCoin Ponzi Exposé". ^ "Fokozott kockázatot hordoznak a világhálón elérhető virtuális fizetőeszközök (in Hungarian)". mnb.hu. Retrieved 2016-12-22. ^ behindmlm.com (2016-04-27). "Chinese authorities investigating OneCoin, investors arrested". ^ Poliisi (2015-04-11). "KRP ON SELVITTÄNYT ONECOIN-VIRTUAALIRAHAA" (in Finnish). ^ Helsingin Sanomat (2015-11-04). "Krp ei aloita tutkintaa Onecoin-valuutasta – kehottaa silti erityiseen varovaisuuteen" (in Finnish). ^ Lotteri Inspektionen (2016-01-27). "OneCoins verksamhet polisanmält för misstänkt brott mot lotterilagen" (in Swedish). ^ direktesalgsforbundet.no (2016-03-03). "Vil ikke være politi" (in Norwegian). ^ "FKTK brīdina par OneCoin sniegtajiem pakalpojumiem" (in Latvian). 2016-03-11. ^ FSC (2015-09-30). "СЪОБЩЕНИЕ – OneCoin" (in Bulgarian). ^ "OneCoin lose last bank account, unable to accept wires". behindmlm.com. Retrieved 2016-11-15. ^ "OneCoin product carries many risks". hnb.hr (Press release). Croatian National Bank. 2017-03-07. Retrieved 2017-09-25. ^ Bangkok Post (2017-04-28). "BoT warns public about OneCoin currency".